This is the second part of three of a study dedicated to Michelangelo's David. You can read the first part here. 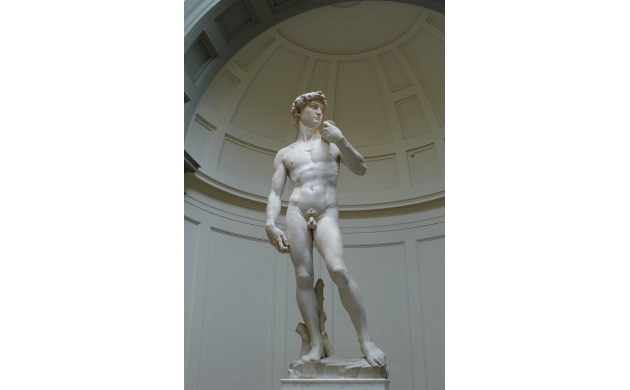 The David statue of Michelangelo was originally commissioned by the Republic of Florence as a work of art to be placed on the buttresses of the roof of the Duomo of Santa Maria del Fiore. The block of white marble was given to Michelangelo Buonarroti by the Gonfaloniere Soderini. 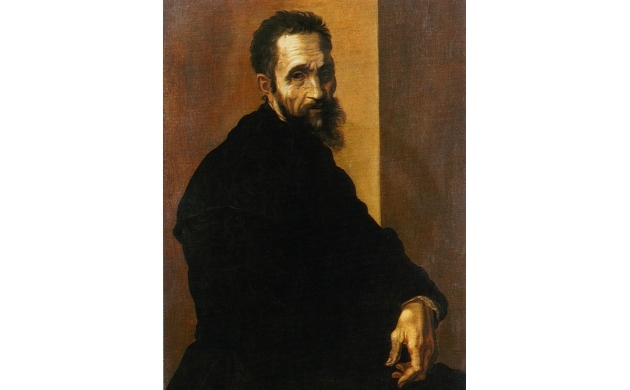 Michelangelo was only 26 years old at the time, but was already a quite famous and well-paid artists by then. Two artists had already been commissioned for the work before him (Agostino di Duccio and Antonio Rossellino), but both had abandoned the project after deeming the marble too fragile due to certain imperfections in the stone. Michelangelo, on the other hand, with a bit of youthful injudiciousness, claimed that he was still able to do the work. By first filling and reinforcing the marble, Michelangelo was able to restart the work that was abandoned by his predecessors. The challenge that Michelangelo wanted to take on was to create a masterpiece combining the canons of classical statuary with the traditions of Florentine sculpture. After three years of work, Michelangelo created a truly immortal masterpiece. During the months of its creation, the statue was hidden from the view of the Florentine people, thanks to the wood panels which Michelangelo placed around the block of marble. Only a very few people were allowed to see the work as it progressed. One of these was the Gonfaloniere of Justice Pier Soderini, from which there is an interesting anecdote: the Gonfaloniere, seeing the statue near its completion, suggested to the artist that the nose was too long, at which point Michelangelo took some marble dust and a chisel in his hand and pretended to make the suggested corrections - and in this way he was able to fool the Gonfaloniere, who left satisfied. The work done and displayed to the public - its wonderful brilliance now clearly apparent - it was quickly decided to not place the statue on the roof of the Santa Maria del Fiore, but rather at the entrance to the Palazzo Vecchio, the seat of the government. On the 25th of January 1504, a commission of illustrious Florentine artists - Andrea Della Robbia, Piero de Cosimo, Pietro Vannucci, Leonardo da Vinci, Sandro Botticelli and Cosimo Rosselli - decided to place the statue right in front of the Palazzo Vecchio instead of in the covered courtyard of the Loggia dei Lanzi where it would have suffered from problems of visibility (this decision, however, exposed the statue to the decay caused by exposure to the elements). In this way, and thanks also to the advice of Michelangelo himself, it was decided to arrange the statue not in a religious context, but rather in a civic one. It was only a matter of time, over the course of the years, that incidents arose which damaged the health of the statue. The first incident came just after its arrival in Piazza della Signoria, when one night during its transport, it was damaged by stones thrown by youths who were antagonistic to the Republic and allied to the Medici family. Then, in 1512, a lightning bolt struck the base of the statue, compromising its stability. Furthermore, in 1527, during the second expulsion of the Medici family from Florence, it suffered yet another grave accident. The Republicans who had taken refuge inside the Palazzo Vecchio to defend themselves from their enemies (the Medici) began to throw rocks and launch furniture from the windows of the Palazzo. These projectiles damaged the statue, causing the rupture of the left arm into three pieces and chipping the sling. Vasari himself, along with the artist Francesco Salviati, retrieved the broken pieces and hid them in Salviati's house, where they waited for the return of Grand Duke Cosimo I who would permit the restorations. In 1873, in advance of the celebrations for the 400th anniversary of the birth of Michelangelo (Caprese 1475 - Roma 1564), the David was transferred from the Piazza della Signoria to the Galleria dell'Accademia di Belle Arti a Firenze - instituted in 1784 by Grand Duke Pietro Leopoldo di Lorena as a place of study and reflection for the pupils of the Accademia delle Belle Arti. This move facilitated the conservation of the statue, especially given its precarious state. Today the David resides in the Galleria dell'Accademia, in a special spot where it can receive natural illumination under a giant skylight designed by Emilio de Fabbris. Meanwhile, a copy of the statue was placed in Piazza della Signoria in 1910. But the transfer to the Galleria dell'Accademia was not enough to completely safeguard the statue: in 1991 a crazed man attacked the statue with a hammer, breaking the big toe of its left foot. 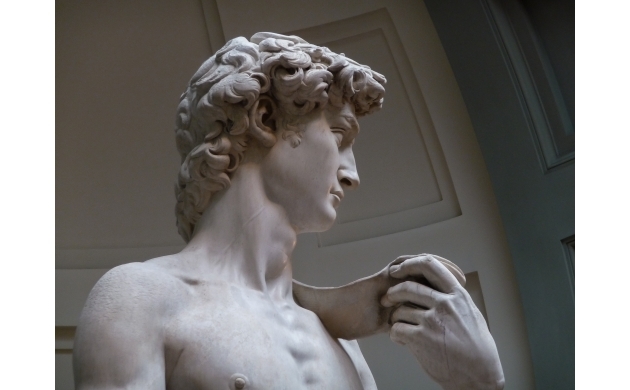 You can read the third and last part of this study about Michelangelo's David here.